The report, The World Market for Infectious Disease Immunoassays, provides important business planning data for companies in the immunoassay market, investing in the field, or considering expansion. Immunoassays for many infectious diseases are a mature market. Tests have been available for many of these agents for years or decades. Growth in this market will primarily be fueled by the identification of new infectious agents for which testing may be needed, and by growth of diagnostic testing in developing countries where infectious diseases are a major problem. 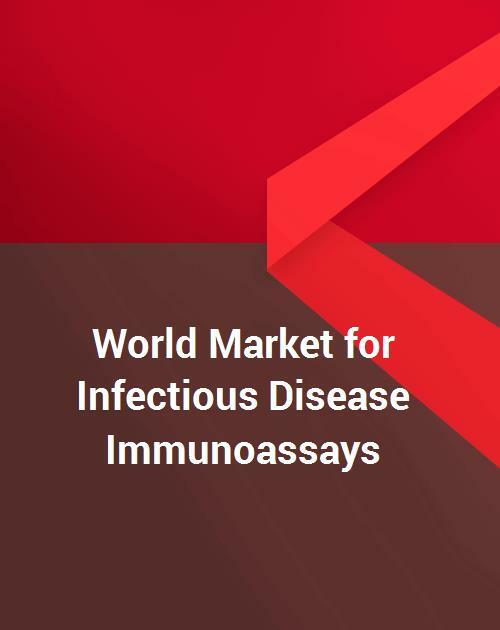 Diseases such as HIV, HBV, and HCV infection are major problems worldwide, and growth of the IVD market in developing countries is fueling growth in the overall infectious disease immunoassay market. In addition, developing countries also need tests for other diseases (such as malaria and others) that are not common in the United States or Europe.